There’s a reason why Paleo is so strongly associated not just with food, but also with a particular philosophy about working out: if you’re talking about reaching our genetic potential as human animals, diet and exercise really go hand-in-hand. But what if you can’t exercise? First of all, it’s worth re-assessing that “can’t.” By “can’t” do you really mean “I don’t want to make it a priority because Halo 4 is more fun?” Or do you really mean “I don’t want to start because I’m afraid of the weight room?” A huge number of people who “can’t” exercise really can; they just don’t choose to for one reason or another. Some people have a very good reason for prioritizing other things above exercise – yes, it’s ultimately a matter of priorities, but some things are a higher priority than your workouts and that’s OK. Some people have chronic diseases that make exercise difficult or impossible – fibromyalgia, chronic fatigue syndrome, or Lyme disease, to name a few. Some people have injuries that temporarily prevent them from exercising, but they still want to keep losing weight. Between one thing and another, there are several perfectly reasonable situations that might make exercise difficult or impossible. But non-exercisers of the world, take heart: yes, you can still lose weight without breaking a sweat. This meta-analysis looked at studies of diet only, exercise only, and diet + exercise. 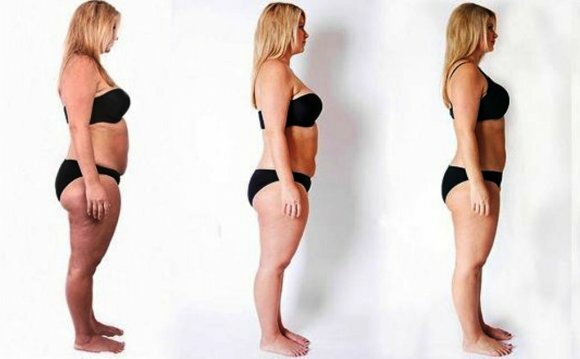 While all three of the interventions resulted in some weight loss, exercise provided, on average, a 0.3 kg (.66 pound) advantage over diet alone. Not even one pound. Of course, that’s in lab studies, not the real world, but the point is that diet, not exercise, is responsible for the vast majority of weight loss. To break it down even further, we could look at a very simple (almost too simple, but good enough for most of us), model of what causes weight loss. Making sure that the calories you do eat are used for energy, rather than stored as fat. The first is a math problem; the second is hormonal (this is where things like insulin come in). You can accomplish both of these things with diet or exercise, or (best of all) a combination of both. But if you have to pick just one, diet is the way to go. 300 calories take half an hour to run off and 5 minutes to eat. There’s just no competition. You could drive yourself into the ground with two-hour runs every day, wrecking your knees and social life in the process, and you would still be able to undo all of that hard work in one dinner. Does it help to “burn off” some of those calories by exercising? Sure, it’s nice to have that extra cushion. But exercising in order to “burn calories” is a whole lot of pain for a very tiny gain. What about your metabolism? There’s a common truism that exercising is beneficial for weight loss because it preserves muscle mass, and muscle burns more calories than fat even at rest, so muscle-building exercises assist weight loss by raising your metabolism.